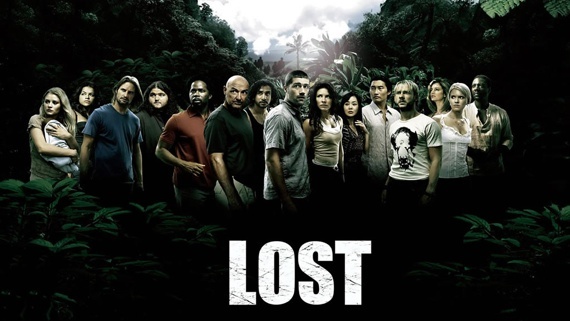 Lost Season 2: "Man of Science, Man of Faith"
The beginning of Season 2 is so intriguing! We start with a seemingly random set of activities that a man is performing, and it's hard to tell if this is a flashback or not because most of the equipment used looks at least twenty years old. But then we are brought back to the narrative when we hear the explosion at the hatch and realize we are inside. So now we are finally in the hatch, but knowing what's in the hatch leaves me just as confused as before. It has computers and tons of equipment, but we don't know what they are for. And why did the hatch say "Quarantine"? It's not clear if the hatch is quarantined, or the island is. Does this have anything to do with the disease Rousseau was talking about? All these questions aside, what exactly does Desmond (who we find is the one in the hatch) do down here? There are many things, like the monster and rain, that seem controlled. Does this hatch have anything to do with those? But perhaps the most intriguing question is, what led Desmond to the island? We know that he met Jack earlier, and that he was training for a race around the world. His last words to Jack several years before were, "See you in another life, brother." Has he died? All we have to go on is Locke's line that "all roads lead to the hatch." Is there something driving them there? The hatch has so much more to show before it makes sense! On the more spiritual side, we find out that Jack got his miracle with Sarah, she was miraculously healed after he had pronounced her permanently paralyzed. Is this miracle the reason he ends up marrying her? Is he given faith because he is faced with something he can't explain? Whatever it was, the Jack in the present seems to have lost that faith, that belief in the miraculous and what cannot be explained. Perhaps this is why he is no longer married to Sarah. And it is this struggle that is personifying itself between Jack and Locke, the epitome of science and faith, causing them to vehemently argue over what is right and how long to wait. Perhaps this island will present Jack with enough instances to cause him to believe again.